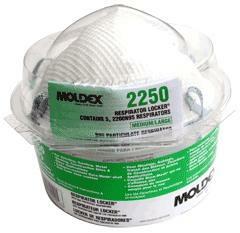 Features & Applications:Moldex 2250 Particulate Respirator and Locker®The Moldex N95 Respirator Locker provides hygienic storage for dust masks. It’s a personal dispensor for workers required to travel to remote locations. Fits easily in employee lockers or work vehicles.